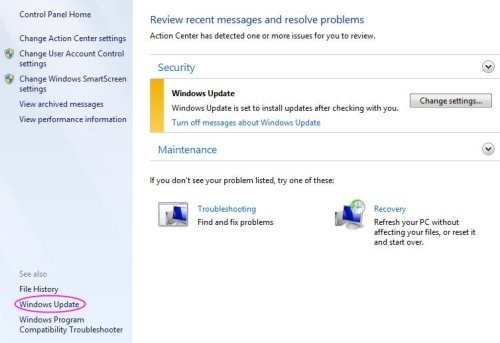 Every time you see automatic updates installing on your PC, you always think about restarting your PC which in turns stuck your work. 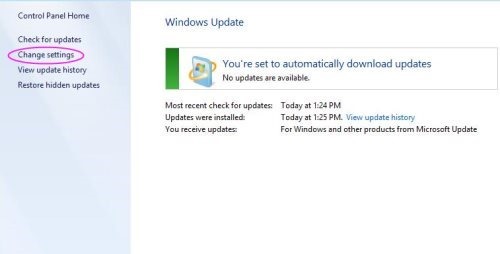 Although, updates are crucial for keeping the Windows fresh and updated but it is a very time-consuming task. Many of us have this query as how to get rid of these updates? but believe some times it is very important to update a particular software. For example – If any of the important drivers such as Wi-Fi, Sound driver is missing, an update can make it work. Yup…you are done. You wont get the notifications for updates. But I would never suggest you to stop getting such important notifications as they are important for well-functioning of your PC. 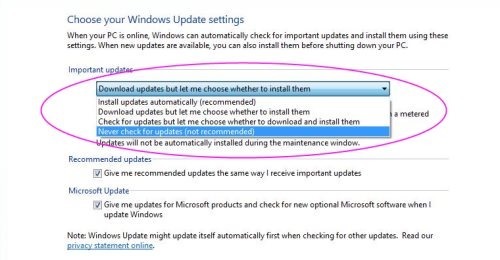 I would say, instead of going for “Never Check for Updates”, you should go with “Download updates but let me choose when to install“. Also, check out How To Sign-Out From Windows 8 Account. Go ahead and select according to your preferences.